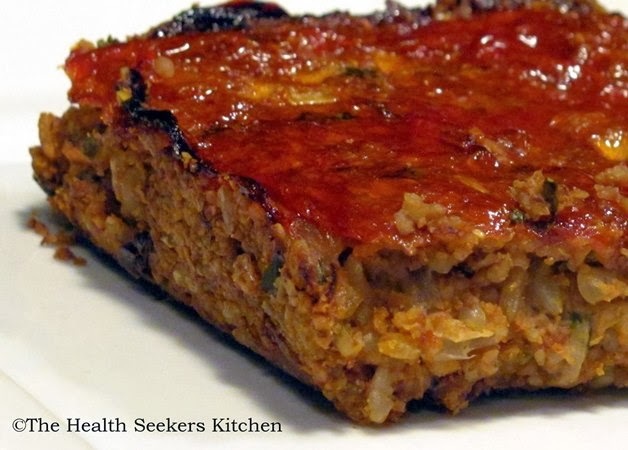 This is a ridiculously good plant-based meatloaf that is so super easy, inexpensive and full of fiber. You can put this loaf together in about 10 minutes, which makes it a good choice when you don't have a lot of time to spend in the kitchen, but are desiring some good comfort food. Walnuts can be a huge boost to your health for many reasons. Recent studies show that eating one ounce of walnuts each day for a period of 2-3 months reduced several problems associated with metabolic syndrome and inflammation within the body. 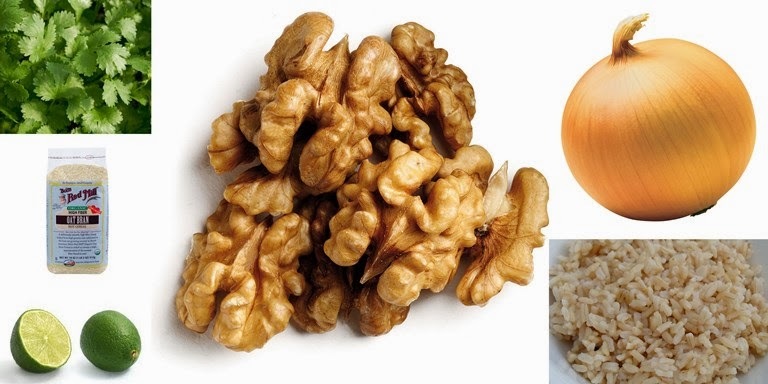 Walnuts high omega 3 content, including the (ALC) Alpha-linolenic acid present, has repeatedly been shown to improve a wide variety of cardiovascular functions. This nut loaf is delicious, has tons of health benefits, easy on the budget and super fast! You can serve it with a huge salad and steamed vegetables. 1.) Make a flax egg by mixing one tablespoon ground flax seed with 3 tablespoons water and let it sit until it becomes egg like. Set aside. 2.) Mix walnuts, onion, cilantro, lime, brown rice, oat bran, nutritional yeast, spaghetti or tomato sauce in bowl while flax egg is sitting. Add flax egg when it appears to be egg like. Mix well. 3.) Use coconut oil to grease loaf pan. Pack ingredients into pan and spread ketchup on top as desired. Bake for 50 minutes. Remove from oven and allow to cool for 5-10 minutes before serving. This is very important one i am also a writer i have writing more than one article and essay papers online have a many writing service are available one of the most popular writing service is custom essay writing service most of the students are get essays and thesis papers form this article this is very important one.